Updated at 7:37 p.m. on Thursday, March 21, 2019, with a photo of the Jeep Cherokee. 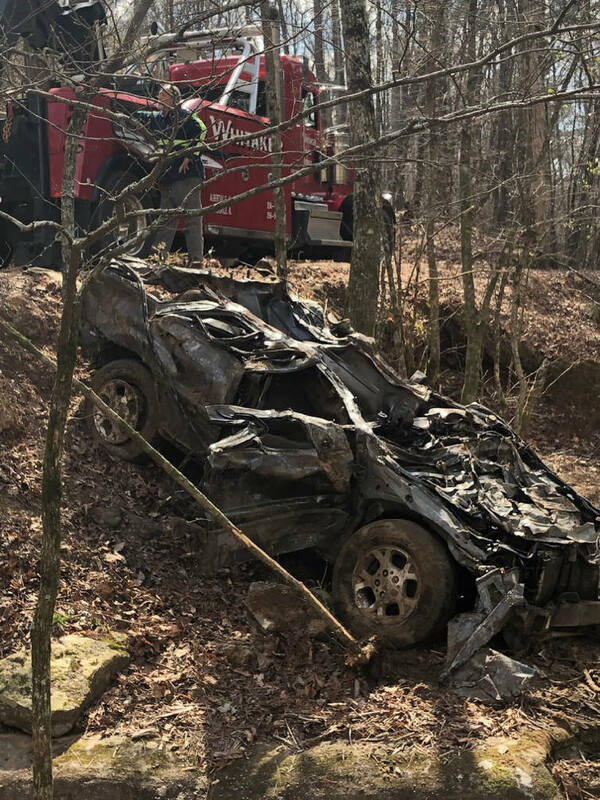 The Jeep Cherokee lost when a Geraldine, Alabama, man was swept to his death at a creek crossing in Buck's Pocket State Park in February has been found. Crews were working to recover the vehicle Thursday afternoon, Alabama Law Enforcement Agency Marine Patrol spokesman Gary Buchanan said in a news release. "The vehicle has been located several hundred yards downstream from the crossing," Buchanan said Thursday. "A trail crew from Alabama State Parks made the discovery earlier today. The Jeep was the vehicle 18-year-old Koy Spears was riding in with two other people when they tried to cross a flooding creek in the state park and overturned, authorities said in February. Heavy rain and high water levels hampered search efforts for Spears' body and the vehicle. Spears' body was found March 12 by four anglers fishing on South Sauty Creek. The fishermen spotted the body near the Morgan Cove boat ramp, Buchanan said at the time of the discovery. The body was identified as Spears' March 14. The other two people in the Jeep that night — 22-year-old Sara Lucille Mooneyham, of Crossville, Alabama, and 21-year-old Jaxon Cole Jones, of Dawson, Alabama — were found a couple of hours later clinging to a tree downstream, authorities said. They were not seriously injured.